Adding resources is the first step to setting up your plan any resource planning tool. It is the core feature that activates everything else in your planner. With Ganttic's resources-first planning approach, you are able to see how work is distributed across your resources. 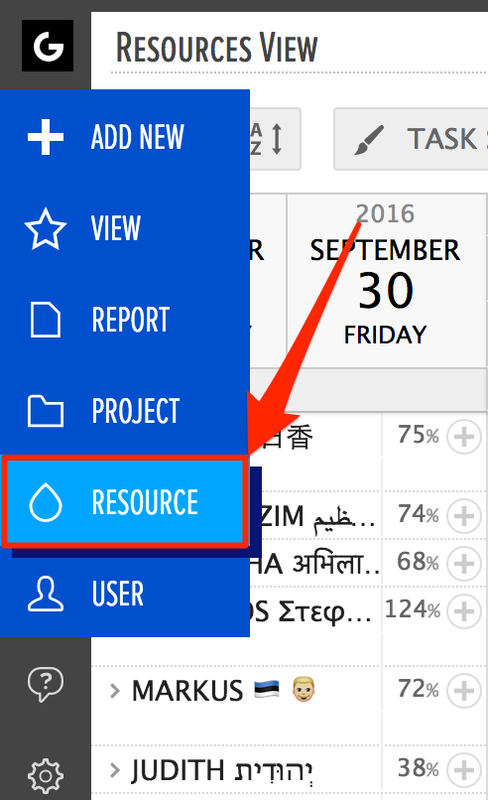 This allows you to keep an eye on resources' utilization and which resources are free to take on more assignments. Resources aren't users. Resources could be anything from your staff, vehicles, equipment, locations and more. You can also bulk import resources. Once the sidebar has turned blue, click on 'Resource'. 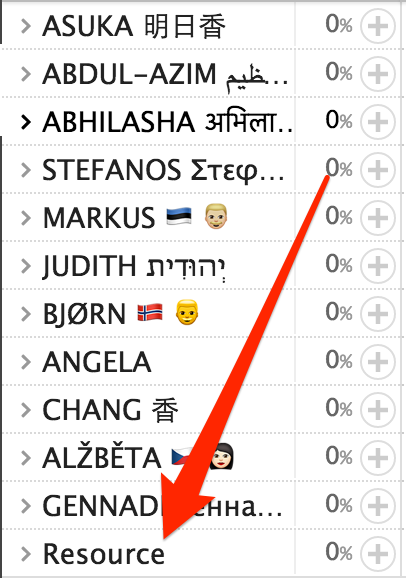 Edit the custom data fields to include the resource in groups etc. The resource will appear at the end of your resource list. This will open the Resource List. 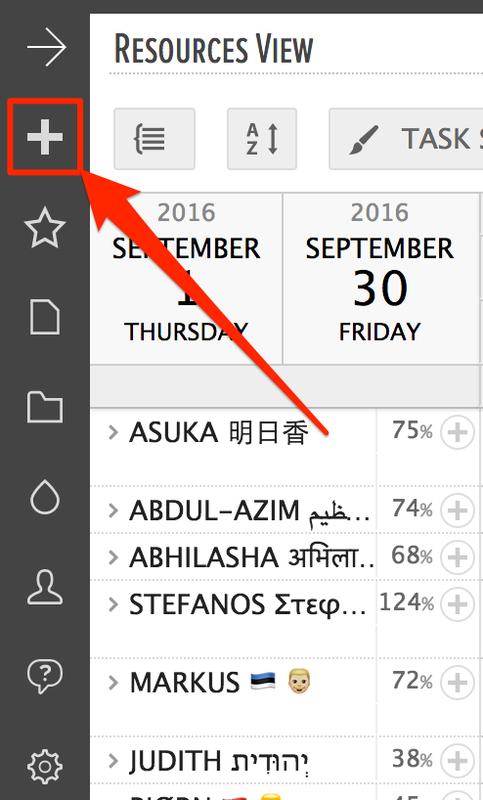 You'll find the button next to resource list options. Do note that resources can be people as well as machinery or vehicles or anything else that you need to plan for your project. That's the beauty of the resource planning tool you have chosen. You can schedule tasks for anything and anyone! This will open the resource dialog. Click on 'Save' once you are done. Did not find the answer to your question regarding adding resources?